Two professors in the Baskin School of Engineering at UC Santa Cruz have been awarded the distinction of AAAS Fellow by the American Association for the Advancement of Science, the association announced this week. They are J. J. Garcia-Luna-Aceves, Baskin Professor of Computer Engineering, and Phokion Kolaitis, professor of computer science. 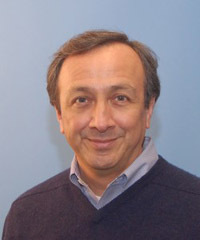 Garcia-Luna-Aceves is chair of the Department of Computer Engineering and director of the Networking Sciences Institute at UCSC. He was recognized for "contributions to theory and design of communication protocols for network routing and channel access." Garcia-Luna-Aceves has done important work in many areas of networking and communications. In recent years, much of his research has focused on wireless networks. He led a multi-university project called Dynamic Ad-hoc Wireless Networks to develop and test new routing protocols to increase the capacity of wireless networks. He and UCSC engineering colleagues are also involved in the Communications Networks Academic Research Center, a multi-university collaboration funded by the U.S. Army Research Laboratory. Garcia-Luna-Aceves is a fellow of the Institute of Electrical and Electronics Engineers (IEEE) and the Association for Computing Machinery (ACM). 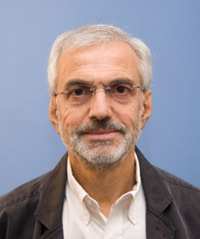 Kolaitis was recognized for "distinguished contributions to logic in computer science and to the principles of database systems." His impact on the area of database theory was recognized in 2008 when he received the ACM PODS Alberto O. Mendelzon Test-of-Time Award for an influential 1998 paper. In addition to his faculty position at UC Santa Cruz, he is a research staff member of the Computer Science Principles and Methodologies Department at the IBM Almaden Research Center, where he served as senior manager during a leave of absence from UCSC from 2004 to 2008. An ACM Fellow, Kolaitis is a Foreign Member of the Finnish Academy of Science and Letters and the recipient of a 1993 Guggenheim Fellowship. He also received an Outstanding Innovation Award and an Outstanding Technical Achievement Award from the IBM Research Division. The tradition of AAAS Fellows began in 1874. This year, 503 members have been awarded this honor by AAAS because of their scientifically or socially distinguished efforts to advance science or its applications. New fellows will be presented with an official certificate and a gold and blue (representing science and engineering, respectively) rosette pin on Saturday, February 19, at the AAAS Fellows Forum during the 2011 AAAS Annual Meeting in Washington, D.C. The American Association for the Advancement of Science (AAAS) is the world's largest general scientific society and publisher of the journal Science (www.sciencemag.org). AAAS was founded in 1848 and includes 262 affiliated societies and academies of science, serving 10 million individuals. Science has the largest paid circulation of any peer-reviewed general science journal in the world, with an estimated total readership of 1 million.